Whether you’re a self-confessed liner addict or a total beginner, Nudestix’s ingeniously effortless eyeliner will transform your eye looks. 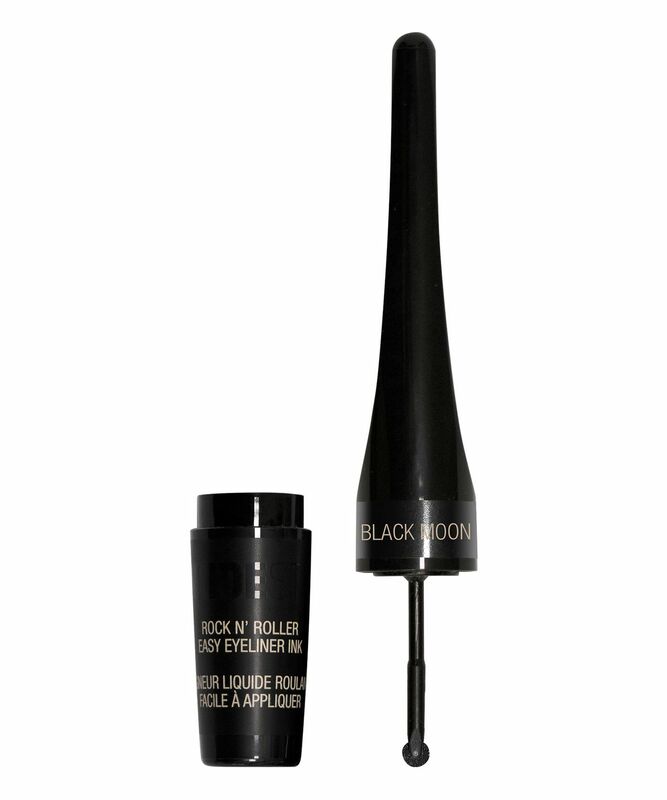 Perfect for drawing straight or curved lines, this takes the faff out of liquid liner with an ultra-fine roller ball, which glides across the lash line for precise, flawless lining every time. What’s more, the highly pigmented formula is smudge-proof and waterproof, staying put all day in three flattering shades. 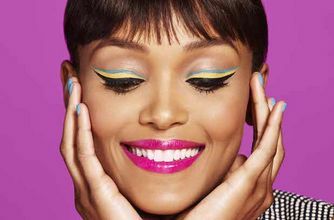 If your hands falter at the very idea of applying liquid liner, Nudestix’s Rock N’ Roller Easy Eyeliner Ink has got your name on it. 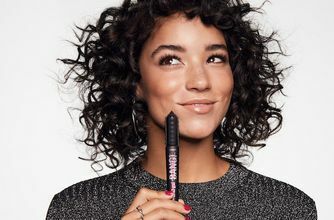 The design is utterly ingenious – instead of a brush there’s an ultra-fine ‘roller ball’ that glides along the lash line, offering flawless, effortless precision whether you’re drawing straight or curved lines. Making a good thing even better, the formula delivered on this unique applicator is highly pigmented, sweat-proof, waterproof and smudge-proof, staying put all day in three flattering, eye-catching hues: black but not flat ‘Black Moon’, luminous bronze with a golden tint ‘Bronze Patina’ and luminous rose gold ‘Golden Rosé’. The ink dries to a matte finish that won’t budge – you’ll be ready to rock and roll in no time at all. Easy application, sharp and very black. New favourite mascara! There is a fair bit of product on the brush so you can easily build up the volume and length by stroking through lashes a number of times. I was surprised by how long my lashes were- some serious impact! Its taken over from They're Real for me. Benefit have received some backlash over the launch of this mascara, it seems that one can hype a launch too much. And this is a shame because this mascara is actually my favourite from the Benefit range and I'm starting to think this will make it to my top 5 (I don't say this lightly of course and this sort of philosophical question takes time to ponder but it's a contender). I've always prefered a brush to a molded wand, but this particular mould is brilliant. 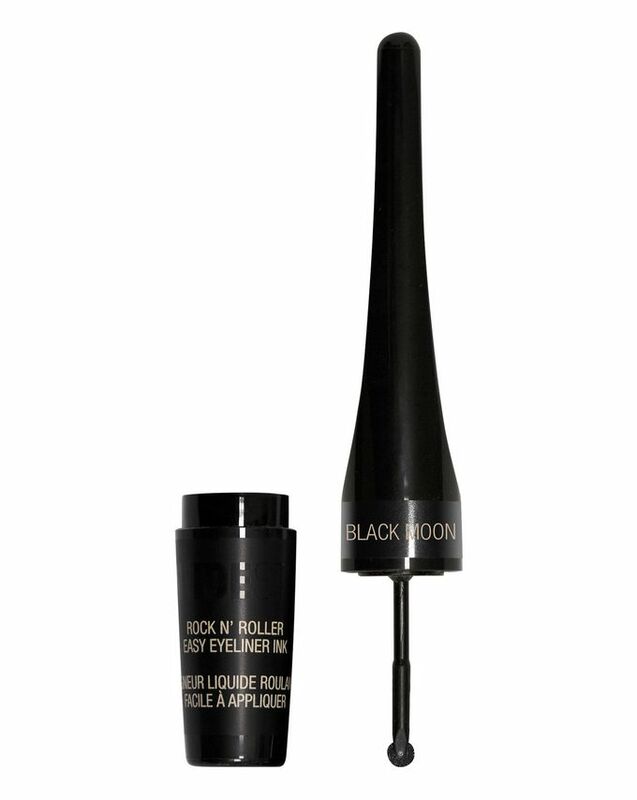 I have deep-set eyes and the tapered brush shape means you don't end up smudging the jet black goop all over your upper lid and the light-touch flexibility of the head means the brush seems to flex to exactly the right angle as you wiggle it up from base to tip. Having blond eyelashes means you need to wiggle a lot at the base of the lash so you don't get 'roots'. The 'space technology' wording all over their marketing is annoying and feels a little patronising, but the formula is quite special. It thickens your lashes in a couple of brush strokes, yet doesn't feel heavy to wear (who knew I'd been wearing heavy mascara all this time!) which helps your lashes hold a curl. This doesn't come off easily, a good thing throughout the day but not great at night. I need to up my make up remover game now because I love the effects this mascara brings. Once to foror dies down around the launch I think people will start to celebrate this new addition to the range as a bit of a triumph. Apparently we SHOULD believe the hype in this case. A rarity. The first time I tried the mascara I loved it! I wear it every day now and it’s definitely my new favourite - sorry roller lash! it was delivered super quickly and I couldn’t have asked for better service. I have tried a lot of brands and some other brands are really perfect but I found this eyeliner is below my standards can’t even give it an average. You can’t have an even line I like a perfect line without any irregularities, second thing is the liquid is so thin I mean watery in consistency it doesn’t give you a real black hue. Maybe my eyeliner was defected. I’ve bought a number of the eye pencils from Nudestix & found them all great. I bought this in the golden rose colour, lovely colour, easy to apply & really long lasting. About all you could ask for in a liquid liner! I’m so glad that I’ve purchased this mascara! Literally magic in a bottle!! Not only does it make my lashes look absolutely stunning and provide crazy volume! This mascara completely transforms my lashes from short, stubby nothingness to looking like I’m wearing false lashes!! Benefit definitely hit the nail on the head with the space comparison as my lashes really do look otherworldly! I really cannot praise this product highly enough! I’ve seen some reviews complaining about clumping, however, I’ve not had that experience at all! This is honestly the best mascara I have ever used in my life! Bad gal bang has already become my holy grail and will forever have a place to stay in my makeup collection!